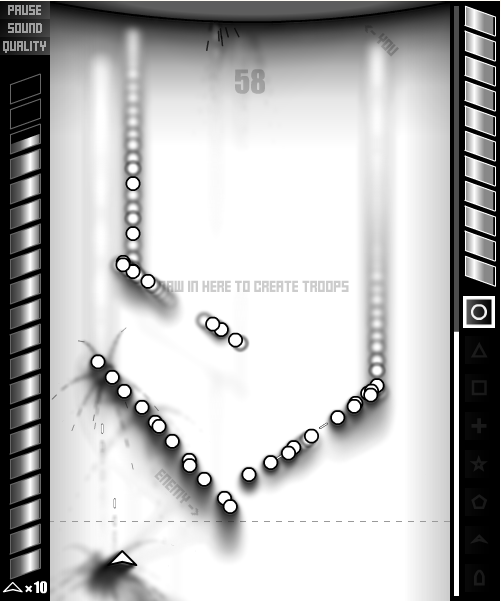 Description Top-down shooters always depict the one lone shooter attacking a barrage of perfectly placed enemies only to win at the end. They never give appreciation to the eloquent maneuvers that each enemy ship can pull off while still managing to fire rockets and lasers at the incoming intruder. Take action and become the "enemy" fighting back against the rogue ship and defending your territory once and for all.